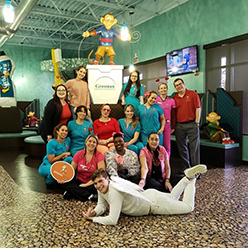 Grosman Pediatric Dentistry & Orthodontics is a comprehensive practice that offers your children the chance to have a positive and fun dental and orthodontic experience! Dr. Maria Grazia Marranzini-Grosman is a well-respected pediatric dentist who truly cares about her patients, and Dr. Alon Grosman provides the highest quality orthodontic services for all ages. This dynamic dental duo comes together to help your child attain a healthy smile that both you and your child can be proud of! Our practice is more than a comprehensive dental experience. Our patients have fun here! 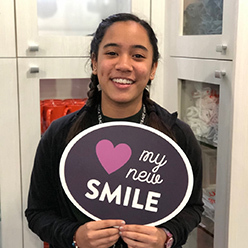 From a child coming in for a regular checkup to a parent who decides to receive their own orthodontic treatment, we treat each and every patient with respect and compassion. Ask your friends and neighbors about Grosman Pediatric Dentistry & Orthodontics; we are confident you will be impressed with what you hear. 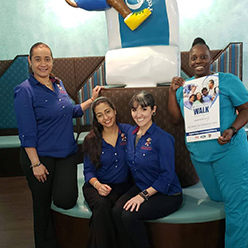 Contact our Davie, FL office to schedule an appointment, and come join our family of patients. Healthy and happy teeth, from our family to yours! This dynamic dental duo comes together to help your child attain a healthy smile that both you and your child can be proud of for a lifetime!